Fit for Success: Healthy Snack Ideas! Lately I've had a lot of questions about ways to incorporate healthy foods into the day, so I figured that would be the topic of my blog today! Snacking throughout the day is how I stay sane... I usually eat like every 3 hours to keep my metabolism going (and because I'm hungry!) so it is essential that I pack snacks when I'm on the go and plan healthy meals for when I get home! 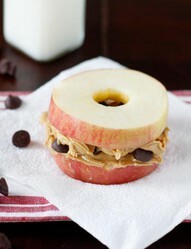 Apples and Peanut Butter- my favorite! Filling and nutritious! 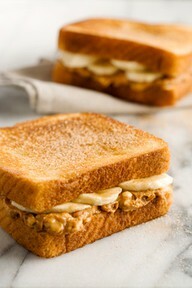 The peanut butter adds protein and apples have a great source of feel-full-for-long fiber! Sweet potato "fries"- my roomate introduced me to these and they have become my favorite snack.. or meal :) Peel the sweet potato, slice it into about 6 pieces, and slice those in four's (they will be little triangles, or slice them however you'd like) put them in a metal pan, cover them with 1 T. Light Olive Oil and sprinkle a little salt, pepper, and Cajun seasoning over the sweet potatoes.. bake at 400 degrees for about 45-55 minutes (until they're soft on the inside, and we like them lightly crispy on the outside- the broiler on your oven can achieve this!) They're sweet with a little kick from the Cajun.. addictive! 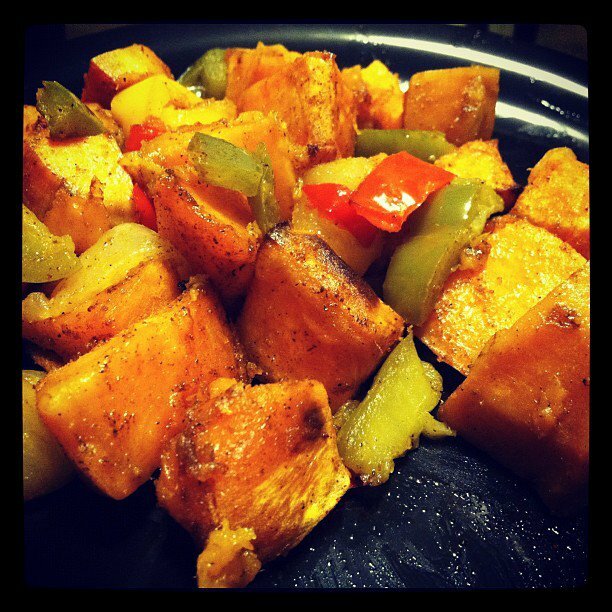 our delicious sweet potatoes.. I mixed in bell peppers for this one. SO GOOD. 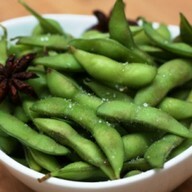 Edamame- these delicious soybeans are packed with protein and SO quick and easy to make! Find them in the freezer section, pop em in the microwave for a few minutes and enjoy with a dash of sea salt! YUM! Peppers and Hummus.. my favorite are sliced up red & orange peppers with "Garlic Lover's" or "Roasted Red Pepper" Hummus. Bell peppers are also an easy thing to toss in a little bag for snack! slice em up and keep them in tupperware, easy to grab and go! 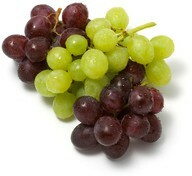 Grapes- a good source of fiber and easy to eat on the go! Besides, who doesn't like grapes? Special K Cereal- oh man, this is my OBSESSION. If you are craving carbs and a delicious, sweet snack that isn't terrible for you.... reach for the Special K. With around 100 calories per serving (and use skim milk of course!) this satisfies my sweet tooth.... every day. 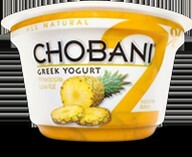 I love Fruit & Yogurt, Multigrain Honey Oat, Vanilla Almond, Red Berry... gosh, you name it. Fruit&Yogurt is my FAVORITE kind! Mixed Nuts with Sea Salt!- nuts are SO good for you, in moderation of course. They have several grams of Monounsaturated and Polyunsaturated fats- the GOOD kind of fat! They're also a great source of protein, so grab one handful (yes, one handful. try to restrain yourself from eating them all!) and eat them on the go! Pineapple and Strawberry Banana are my favs! Elvis- toast a light multi-grain english muffin, swipe some reduced fat peanut butter on it, and top it with a sliced banana. This is so delicious and filling that it could easily pass as a meal! In fact, this is my favorite 'snack' to eat for breakfast. use one slice of bread for less calories, or try an english muffin! Water, Water, Water :) stay hydrated! I hope this gives you a few new ideas of healthy snacks and inspires you to eat healthy! Eating healthy does not mean being hungry all day or eating bland foods. Have fun with it, experiment, and try new things!